I am a sucker for an entire store dedicated to shoes! Shoes might be my most favorite thing to buy, can definitely make (or break) a look and so fun to collect. 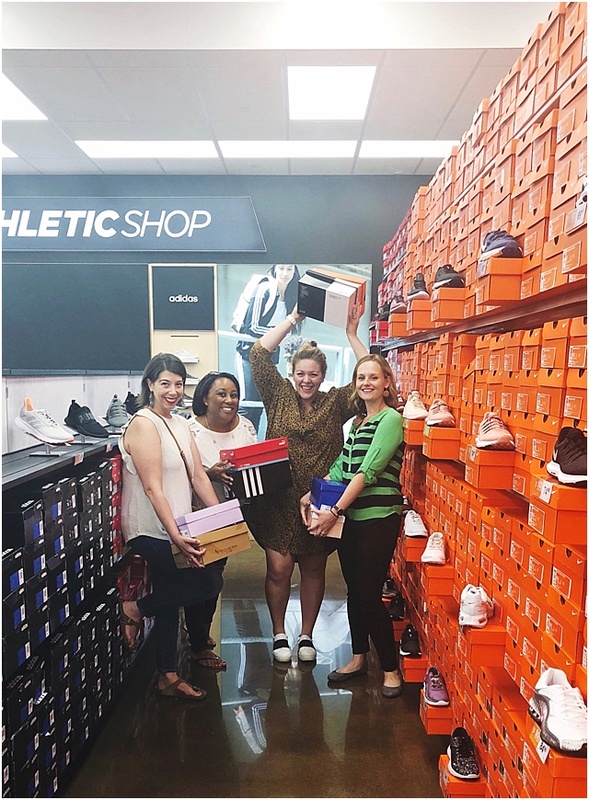 So, when Rack Room Shoes reached out to let me know they were opening a new store at the Legends Outlet in the Kansas City area - and having a grand opening VIP party, I was there in a heart beat! After the shoe party (and they had wine!) last Wednesday, they are now fully open! I love, even more than a whole store of shoes, an everyday 'Buy One, Get One 50% Off*' deal. 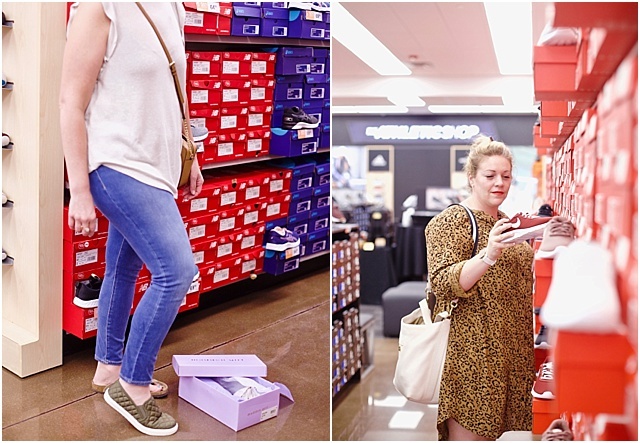 Rack Room Shoes is a great place to shop for the whole family, and that can add up when you're trying to update your kids' growing feet before a new school year, but Rack Room Shoes makes it easy with deals off already low prices. This back to school season, you can grab everyone the latest and coolest athletic sneakers, fashionable flats and all kinds of slides - they even have backpacks and lunch boxes. I got my son sneakers and myself Pumas from the new Kansas City Rack Room Shoes! 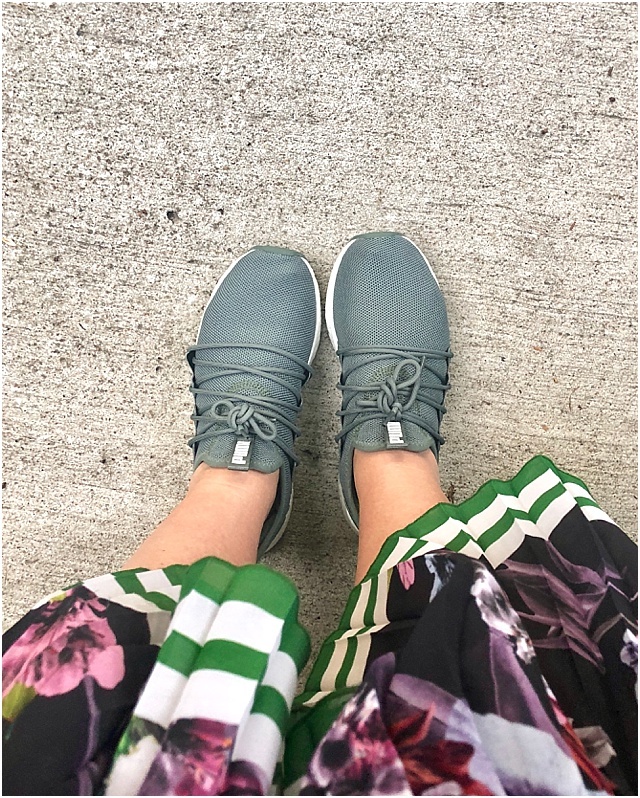 I can't get enough comfy footwear right now, and my kids love sneakers for back to school. And I think my friends are on the same page as me, as they also got cute, comfy shoes for themselves and/or family members. It was definitely a successful night of shopping and money saving. My friend went home with these cute green sneakers! I'm so glad that Rack Room Shoes has come to the Kansas City area! If you live in KC, make sure you check them out - and if not, no fear - you can shop online + they have tons of other store locations around the country. Another aspect of Rack Room Shoes that I love is that they give back. Because some children don't go to school because they don't have proper footwear, while many have ill-fitting ones, Rack Room Shoes partners with Shoes that Fit, a national non-profit organization that provides shoes to disadvantaged children, to help them focus on their studies. You can even donate $100 donations to support this organization. This post done in partnership with Rack Room Shoes, but all my opinions are my own! *BOGO Disclaimer: BOGO 50% Off promotion: 2nd pair must be of equal or lesser value. Excludes accessories and certain styles, including but not limited to Bearpaw, Converse, Asics, Adidas, Saucony, Birkenstock, Rainbow, Sperry, Keds, Teva, Rockport, online Timberland & Timberland Pro, plus all Nike styles.